“Never Trump” consultant Rick Wilson wants Kathy Griffin to “go back to war” against President Donald Trump. 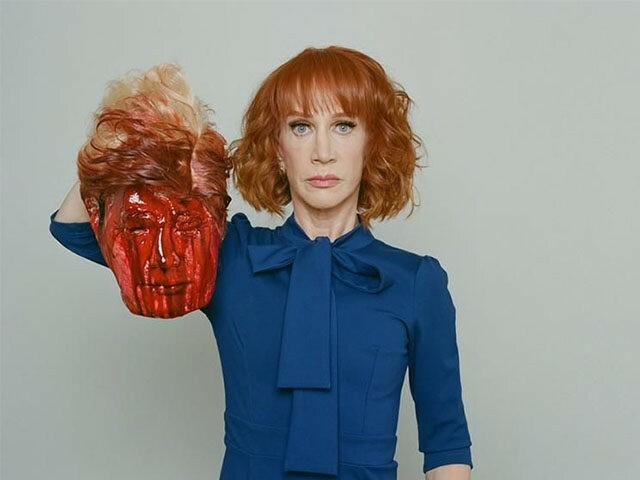 In a piece for The Cut, journalist Yashar Ali profiled Griffin, who now feels like she has no need to apologize to anyone for the Trump beheading photo that got her fired from CNN and led to the cancellation of her comedy shows. Ali concludes his profile by noting that “although she’s still too worried about her physical safety to tour America,” Griffin is ready to take her comedy act, which “will feature plenty of Trump jokes,” abroad. Wilson, apparently now a fan of free speech, believes it is important for Griffin to mock and ridicule Trump. Wilson, along with fellow “Never Trumper” Charlie Sykes, believes that Trump was not even offended by Griffin’s beheading photo. As he does in nearly every piece in which he tries to portray himself as a victim, Wilson whines about the business he has supposedly lost for turning himself into a one-trick pony who gets booked on cable channels to be used as the “Republican” who attacks Trump and his voters.